This is great for campfires. So easy and it only takes a few minutes. With the peel on, cut the banana longways. 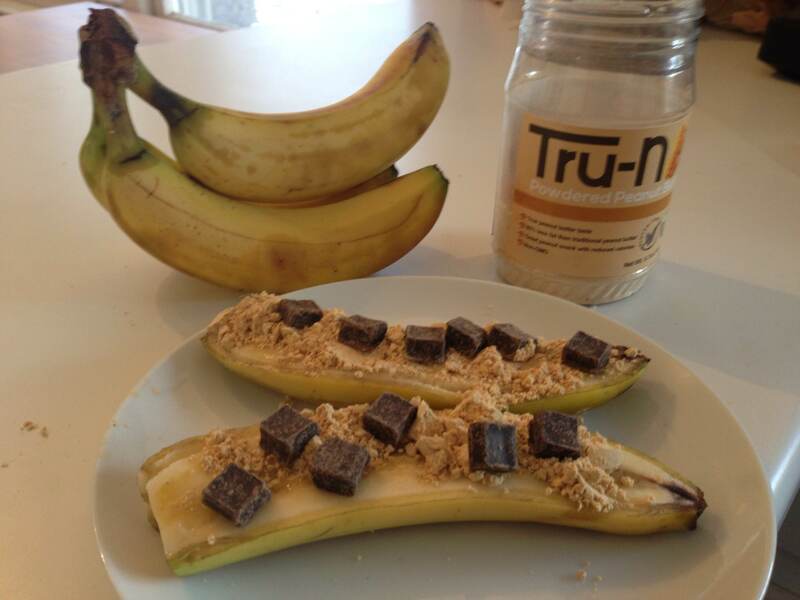 Place the powdered peanut butter and chocolate chips on the banana. Place the banana on foil and heat until chocolate melts. Banana halves can also be placed on top of each other and rolled in foil.